Today is Open Source Friday, so to celebrate the occasion I thought I would go back to my roots and write a new tutorial for The GIMP, which stands for The GNU Image Manipulation Program. The GIMP is a good open source alternative to Adobe Photoshop. I started using The GIMP back in high school in 2005 because I couldn’t afford the Adobe programs, and because our computer teacher was very into Linux and tried to use open source software whenever possible. It was with The GIMP that I really go into photomanipulation and more advanced website design. 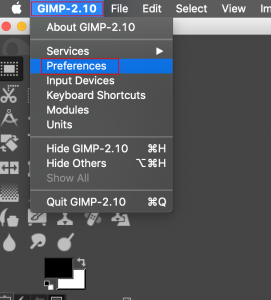 For years, The GIMP was my go-to tool and I even taught others how to use the program by taking on students and mentoring them in various forum-based online communities. I also wrote many tutorials, some of which I have shared here on my website. Even though my website has been somewhat dormant the last few years these tutorials are still one of the major consistent drivers of traffic to my site. During the past few years I have been using the Adobe programs much more than The GIMP since I have had the privilege of receiving licenses through work. When I saw that a new version of The GIMP had been released last year I got curious and decided to update from the previous stable version 2.8 to the new 2.10. 1. Open Preferences from the top menu. 2. Navigate to the Interface settings. If it isn’t expanded you might need to click the little + symbol to expand all the sub-options. 3. 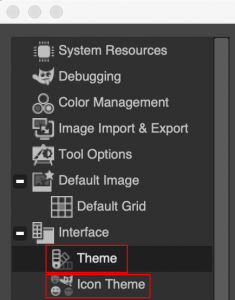 Click on the Theme options. 4. 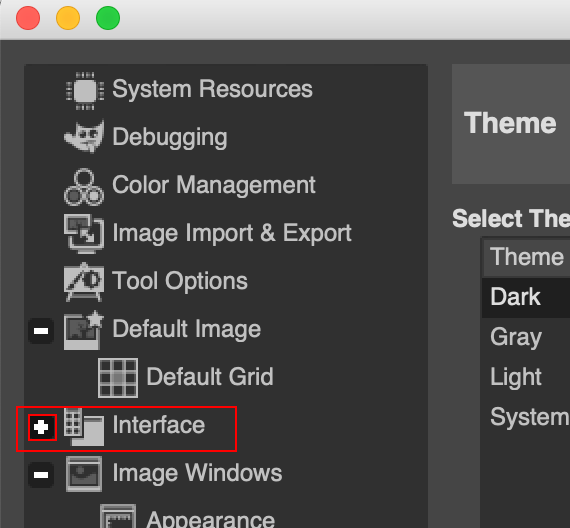 From here you can switch between the new Dark, Grey, and Light themes, or choose System to revert to the look and feel of version 2.8. 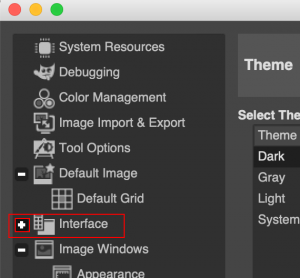 By clicking on the theme, you will get a preview, click OK to confirm the change. 5. 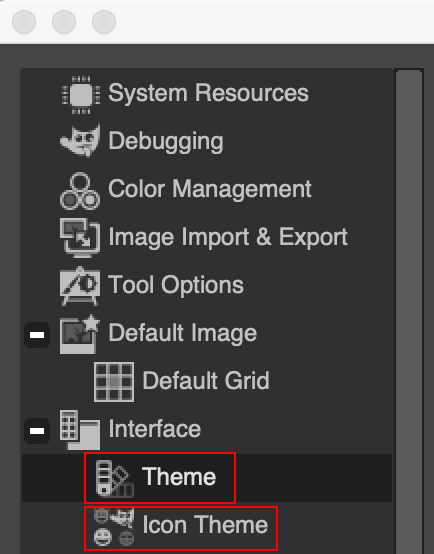 After that is done, go to the Icon Theme options. Again, the Symbolic, Symbolic-Inverted and Color are new options, and Legacy is the old design. 1. Open Windows from the top menu. 2. 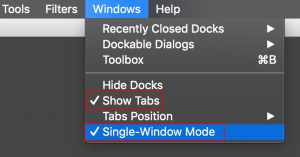 Uncheck the Single-Window Mode option. 3. Personally, I really prefer the Single-Window Mode which is made that much better by using the Show Tabs option at the same time. That way it is easy to navigate between multiple images you have open. 2. Click on the Window Management options. 3. 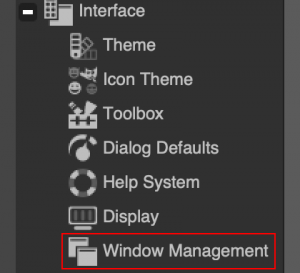 Click the Reset Saved Window Positions to Default Values button. You will need to restart The GIMP for the change to take effect. I hope these little tips and tricks will help you to navigate the new interface in The GIMP 2.10. I am going to be following up with further tutorials, if there are any specific tools or features you need help with please don’t hesitate to suggest future tutorial subjects and I’ll do my best to help. Hope you enjoy working with version 2.10 as much as I do!